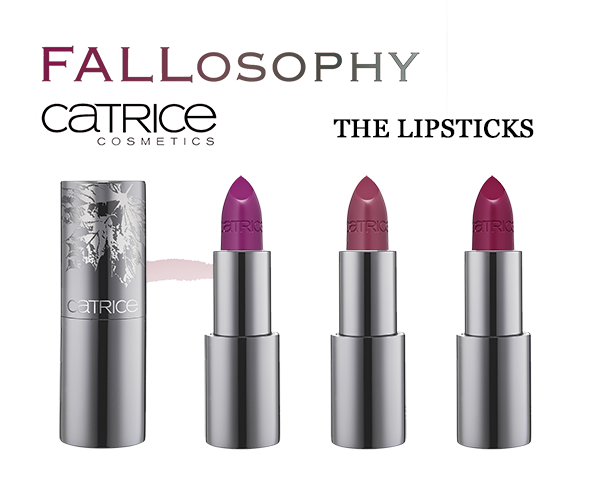 Preview: FALLosophy by Catrice - Cherry Colors - Cosmetics Heaven! 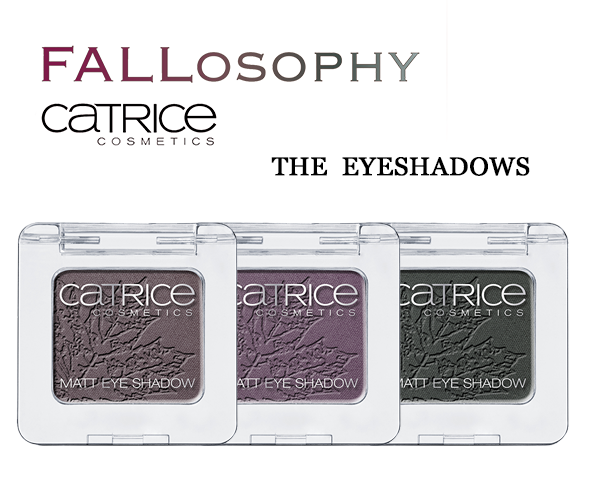 I wanted to show you how beautiful the upcoming collection by Catrice is. It's truly amazing and contains many colors that I love. Dark reds and violets. I can already feel the fall coming and bringing a change in scenery. I made a little collage from the PR photos for easier viewing. Imaginative Objectivity. Artistic romance meets minimalistic straightforwardness. The fall collections are a stylish mix. New interpretations of classics such as sophisticated capes create a modern “Little Red Riding Hood” look, while beautiful gowns with floral embroidery and flowing fabrics in midi and maxi length draw lots of attention. Muted brown and green, as well as bold berry shades, welcome the new season while soft rosé is reminiscent of the summer and sets feminine highlights. 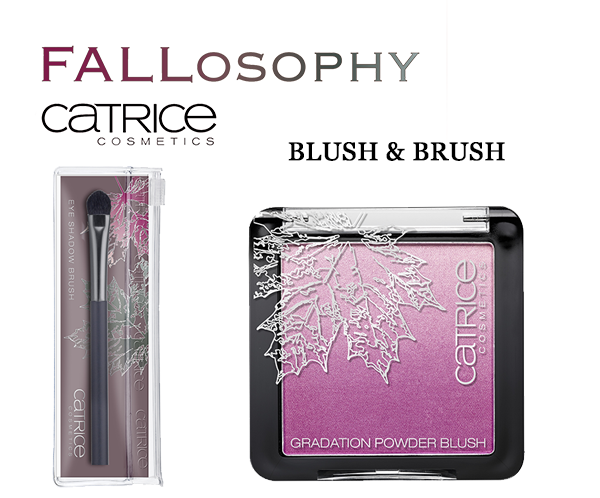 Inspired by the international fashion shows, the Limited Edition “FALLosophy” by CATRICE embraces the autumn trends and offers matching beauty must-haves with graceful leaf artwork conveying the atmosphere of a fall forest from mid September to mid November 2015. The matt powder eyeshadows with their gorgeous embossment, the Gradation Powder Blush with an attractive color gradient as well as the high-quality Soft Lip Colour lipsticks stand out in particular. 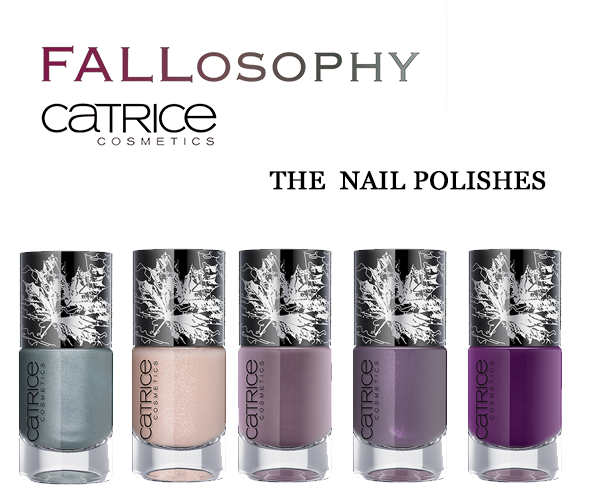 Adorable autumn – by CATRICE. C02 Mauving Leaves and C03 Berrytale. therefore ideal for creating gorgeous colour gradients and smokey eyes effects. Hygienically packaged in a transparent zipper pouch. turn this pressed blush into an absolute eye-catcher. Available in C01 Fading into Dawn.